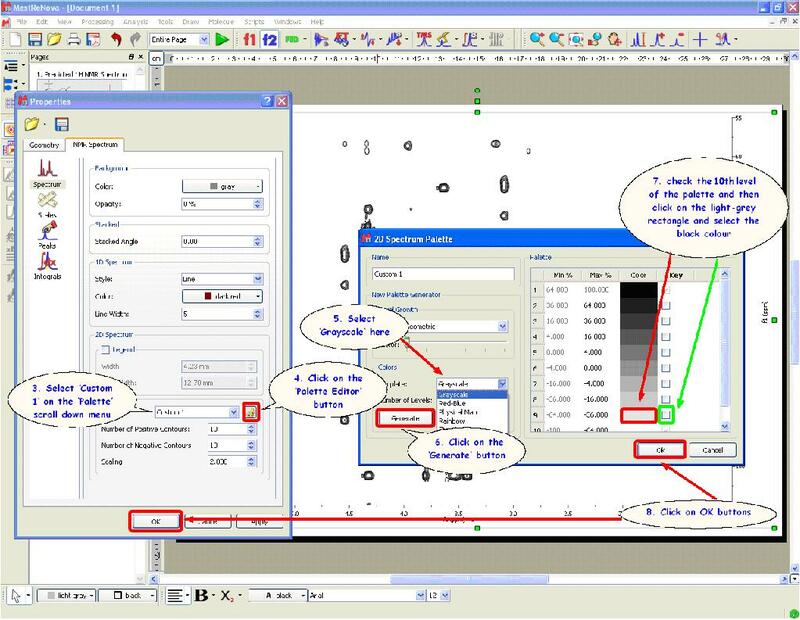 You are at:Home»How to install»How to change the colours of 2D spectra? 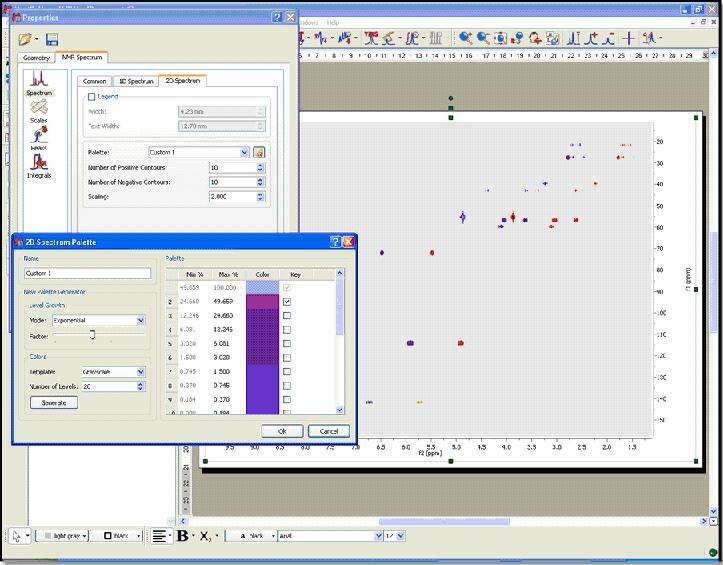 How to change the colours of 2D spectra? How to get monochrome printouts? 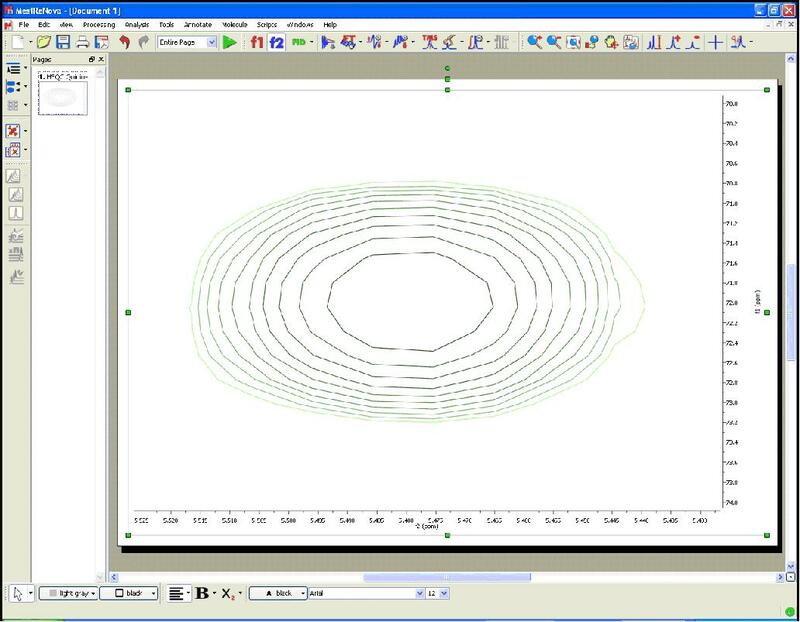 How to make all positive contours a scale of greens and all negative contours a scale of blues? 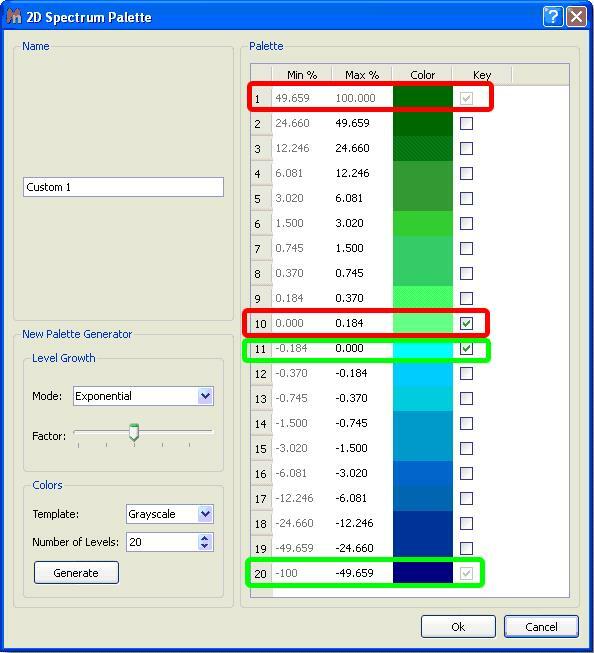 In this case, you will only need to select in the ‘2D Spectrum Palette’ dialog box the first and the last colour of the positive peaks and the same for the negatives. 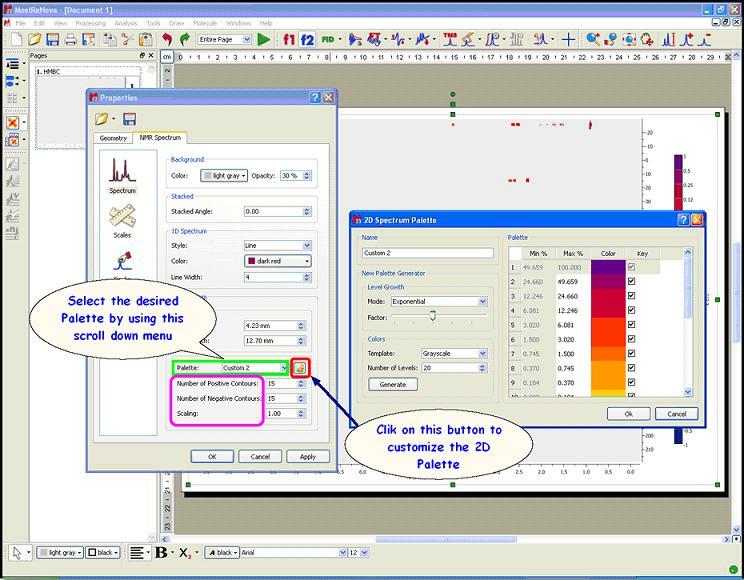 For example, imagine that you have 10 positive contours, then you will need to select the colour of the contour 1 as ‘dark green’ (for example) and then check the corresponding mark at the right side. 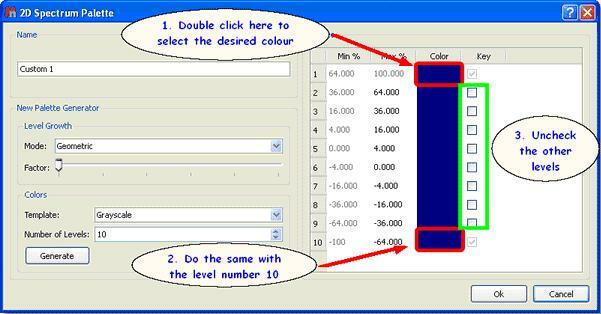 Finally, select the colour of the contour number 10 as ‘light green’ and check the mark. Do the same for the negative peaks; in this case the contour number 11 will be ‘light blue’ and the number 20 will be ‘dark blue’. Please take a look at the screenshot below for further information.